✔NATURALLY SOURCED. As with all our products, our plant-based multi vitamin uses only 100% natural ingredients from plant and natural sources like sea water, bamboo, buckwheat and sea algae. 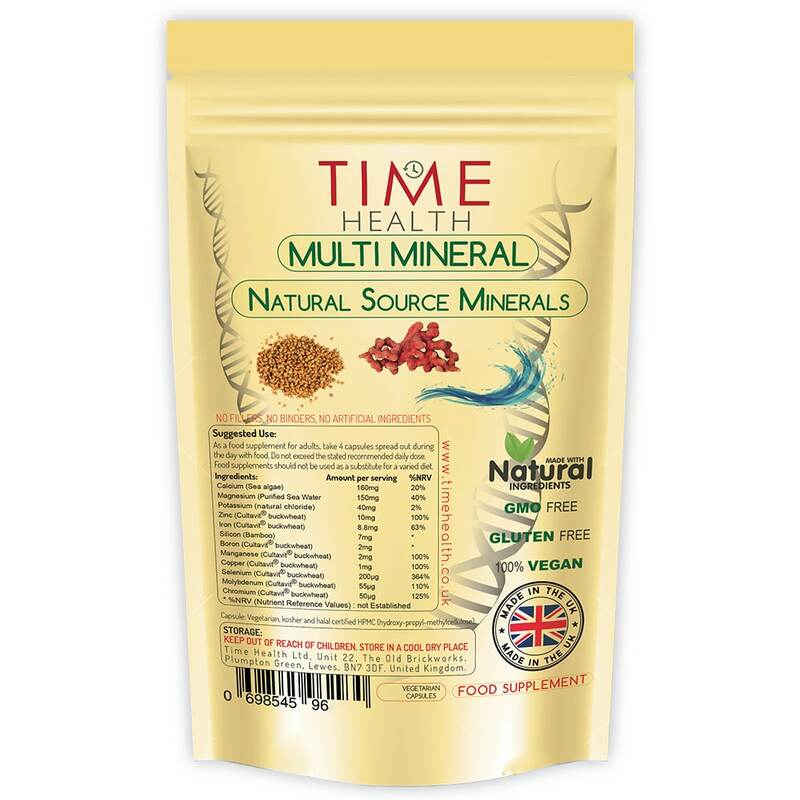 Our multi mineral does not contain gluten, yeast-based or synthetic vitamins or minerals. ✔100% VEGAN WITH NO FILLERS, BINDERS OR ADDITIVES. Our capsule shell is made from HPMC (hydroxypropyl methylcellulose). This is made up of the trunks of pine and spruce trees that come from the Southwestern United States. HPMC-capsules are colourless, elastic and dissolve as quickly as gelatine capsules. We believe in clean nutrition which is why you won’t find any nasty stuff in our products, unlike some of our competitors. ✔HIGH QUALITY & VALUE. Manufactured in the UK to ISO 9001 quality assurance with only the finest quality raw materials. Due to our low operating costs, we are able to offer our customers great prices. ✔MAXIMUM HEALTH BENEFITS. In nature, nutrients are created with a number of phytonutrients and associated food factors, which acts as a delivery system and is essential for absorption and retention. Our natural plant-based sourced minerals are presented to the body in virtually the same way as nature would. 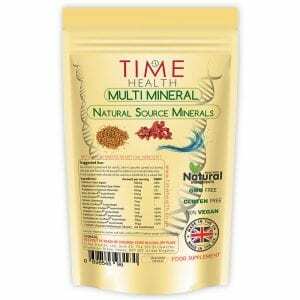 This allows your body to make effect use of all the minerals. As well as being bio-available and more bio-effective, they are gentle on the body and ideal for anyone with sensitivities. Calcium (sea algae) 160mg- Magnesium (purified sea water) 150mg- Potassium (natural chloride) 40mg- Zinc (Cultavit® buckwheat) 10mg- Iron (Cultavit® buckwheat) 8.8mg- Silicon (bamboo) 7mg- Boron (Cultavit® buckwheat) 2mg- Manganese (Cultavit® buckwheat) 2mg- Copper (Cultavit® buckwheat) 1mg- Selenium (Cultavit® buckwheat) 200µg- Molybdenum (Cultavit® buckwheat) 55µg- Chromium (Cultavit® buckwheat) 50µg. 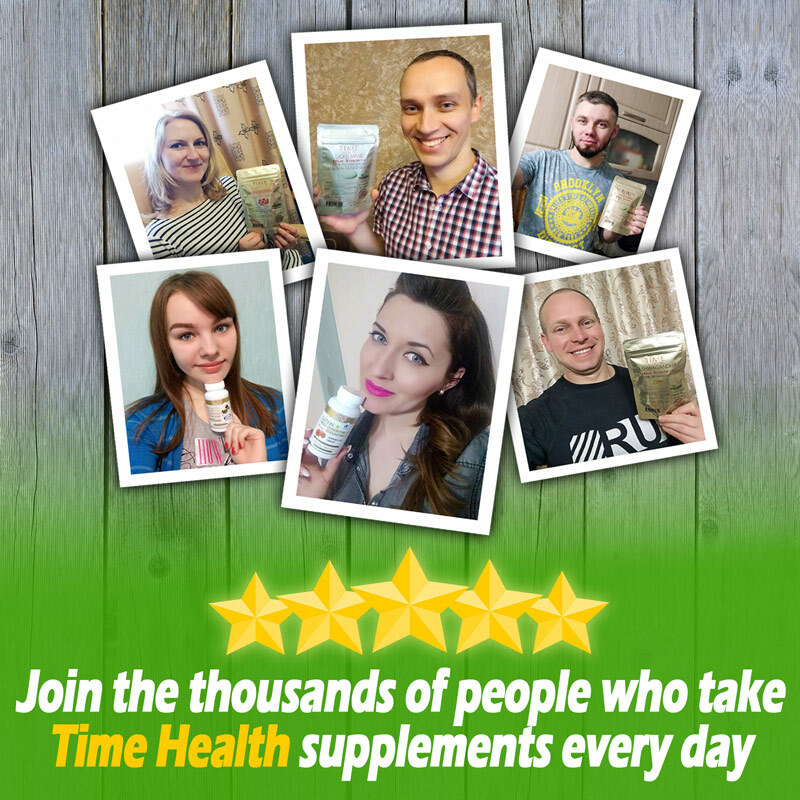 As a food supplement for adults, take 4 capsules with food spread throughout the day, or as directed by a healthcare practitioner. Do not exceed the stated recommended daily dose. Austrian made Cultavit® optimizes and standardizes biological growth and seeding processes of buckwheat so that essential nutrients, such as vitamins, minerals and trace elements can be concentrated in its natural matrix. Buckwheat has been used as a crop for many centuries – in Europe and around the world – and despite its name buck“wheat“, it is 100% gluten free. 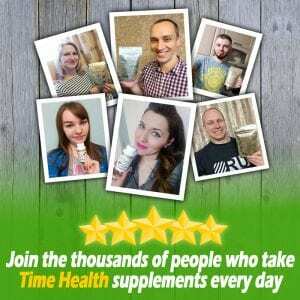 Why natural/plant-based sourced vitamins and minerals ? In nature, nutrients are created with a number of phytonutrients and associated food factors; this creates a crucial delivery system that is necessary for optimal absorption, use and retention in the body. Synthetic vitamin/mineral supplements do not contain these factors so a high % of synthetic vitamins consumed will simple be passed straight through the body without being used. Natural plant-based sourced vitamins and minerals are presented to the body in virtually the same way as nature would. This allows your body to make effect use of all the vitamins and minerals. As well as being bioavailable and more bio-effective, they are gentle on the body and ideal for anyone with sensitivities.